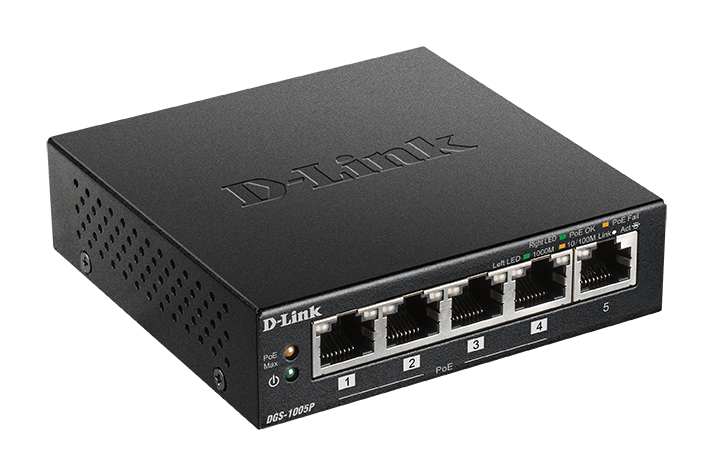 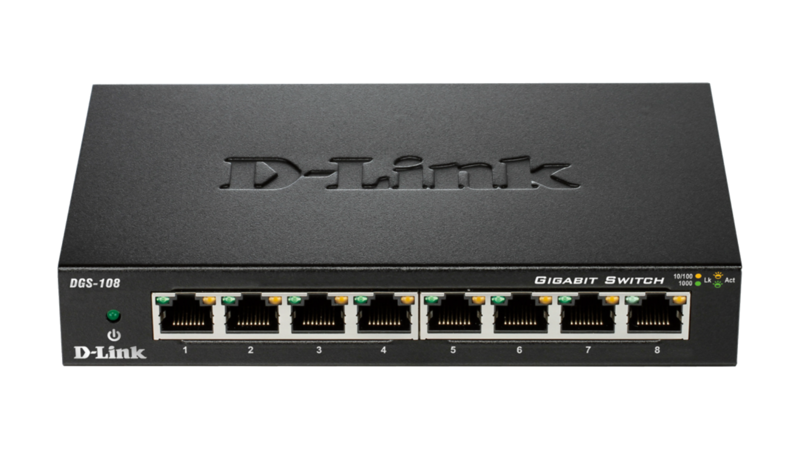 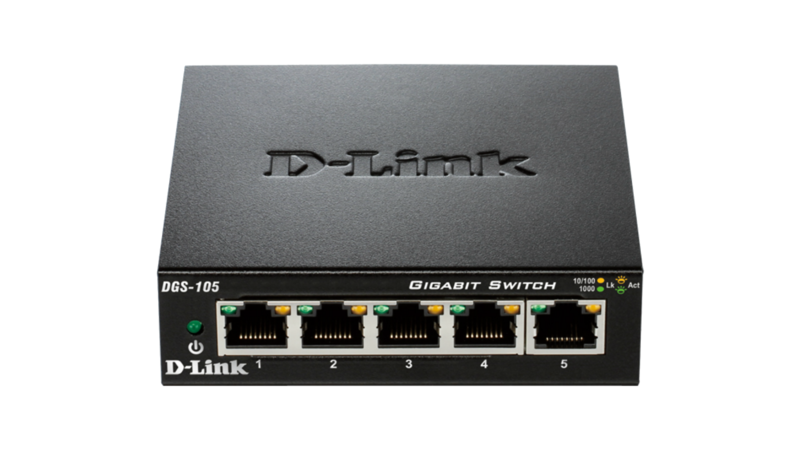 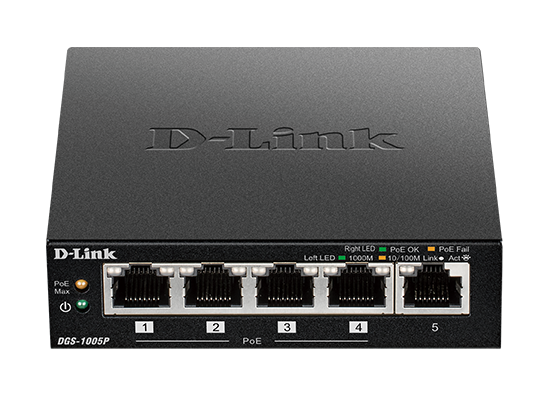 The D‑Link DGS‑1005P 5‑Port Desktop Gigabit PoE+ Switch enables you to connect Power over Ethernet (PoE) devices such as wireless access points (APs), network video cameras and IP phones to the network. 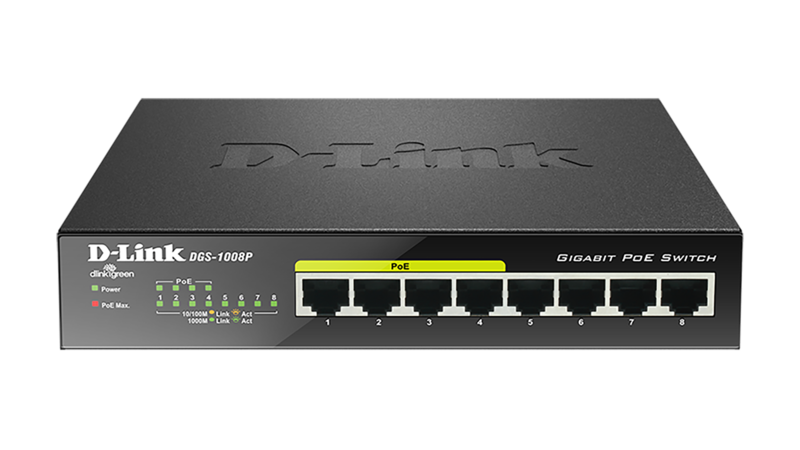 Built with home and small business users in mind, the DGS‑1005P is compact and operates silently, making it ideal for most rooms and offices. 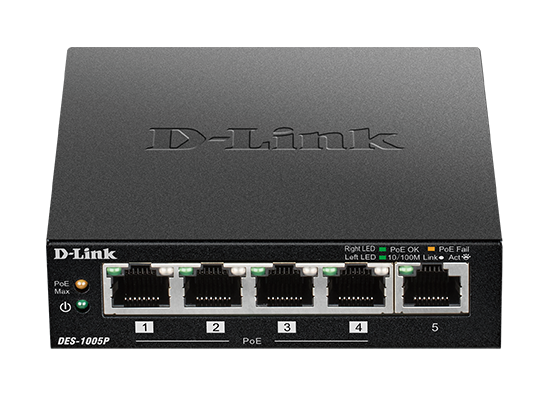 The DGS-1005P features plug-and-play installation and requires no configuration.